Julianne Moore, Matt Damon and Oscar Isaac lead the cast of George Clooney's sixth directorial effort. 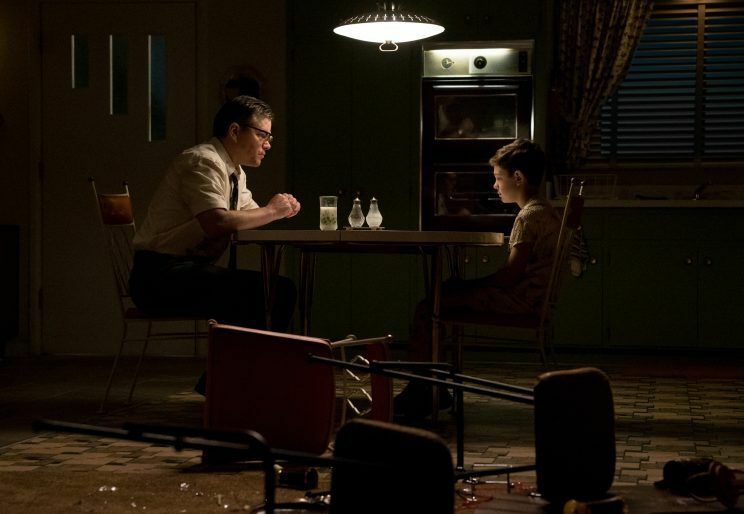 Fall film festival season is right around the corner, and included in today’s Toronto International Film Festival lineup is George Clooney’s “Suburbicon,” which marks his sixth directorial effort. The film is written by the Coen Brothers, marking a reunion of sorts after the three worked on “O Brother, Where Art Thou?,” “Intolerable Cruelty,” and “Hail, Caesar!” The cast includes Matt Damon, Julianne Moore and Oscar Isaac. Yahoo! Movies has debuted two first look images from the drama, which has an Oscar-ready October release date. The movie is having its North American premiere at TIFF, meaning it’s a given to world premiere at Venice at the end of the summer. According to Clooney, the Coen Brothers originally wanted to direct “Suburbicon” themselves after working on the script for years. The duo originally asked Clooney to play Oscar Isaac’s role in 2001, but he’s only behind the camera for the finished product. “Suburbicon” marks Clooney’s first feature since “The Monuments Men” opened in 2014. Paramount is releasing the film in theaters October 27.